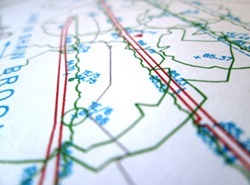 Penny Anderson Associates Ltd. (PAA) has a successful track record in delivering GIS and Mapping expertise, products and services to our clients for over twenty years. PAA can offer a variety of surveys using equipment such as high-accuracy RTK GPS/GNSS survey, robotic and reflectorless total station EDM topographic surveys, unmanned aerial vehicle (UAV) surveys and ground-based LIDAR feature and terrain mapping and modelling. In recent times there has been an acceleration in technology convergence and this in turn has led to the emergence of the ‘geospatial’ industry, where technologies and methods can be applied in a multitude of different situations. Examples include improvements in global position and navigation (GPS/GNSS) survey equipment leading to more accurate data, which can be captured far more efficiently than before. Another example sees the convergence of traditional total station topographic survey instruments with GNSS and ground-based, LIDAR digital scanning in order to provide faster and more streamlined capture and processing of accurate survey data. 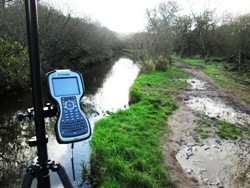 Penny Anderson Associates Ltd has undertaken many bespoke topographic surveys over the past 20 years and the convergence and evolution in technology and field equipment now means that we can offer topographic and other geospatial surveys as part of our standard portfolio of services and products. Output topographic mapping and other geospatial products, including point cloud datasets, CAD outputs and digital terrain models. Hydrological monitoring and floodplain restoration scheme design for the River Cober floodplain SSSI, downstream of the village of Helston, Cornwall, which was completed for the National Trust Penrose Estate.